Water purification systems and equipment present a unique set of fluid control challenges. Purified water is aggressive and will rapidly corrode most metallic parts. Additionally, strong chemicals are utilized in some systems for cleaning or regeneration, presenting yet another longevity challenge for the process valves needed to operate a system or equipment skid. 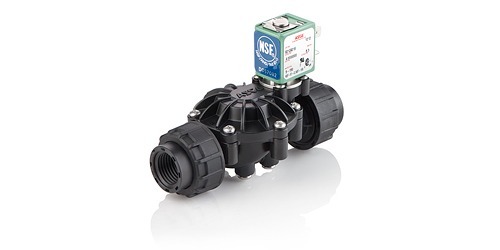 ASCO, an Emerson Brand, has developed a line of solenoid operated valves targeted at membrane based water purification applications. These applications include desalination skids and a broad range of ultrafiltration, and reverse osmosis equipment installations. The Series 212 delivers substantial benefit to customers, through its basic construction, design and ease of use. Compliance and certification listings with applicable current standards and codes. Short lead time with quick-ship program from distributors. High reliability - tested up to one million cycles. Ease of connectivity, available as Turn & Lock, NPT thread, or solvent bond. FasN connection system enables greatest equipment design and assembly flexibility. Normally open and normally closed versions available. More detail is provided in the datasheet included below. Share your fluid control challenges with process control specialists at Miller Energy, leveraging your own knowledge and experience with our product application expertise to develop effective solutions. Solenoid Valves for Water Conditioning and Purification Systems and Equipment from Miller Energy, Inc.